Anyone who thinks Black is Black hasn’t got their hands on Zoom Fast Black Lash, our newest mascara designed for voluptuous night-sky volume, length like a glamorous, never-ending asphalt highway! This is the deep end of the Dark View, the night charm of every neo-Goth night crawler, and the most dramatic statement black could make for the Film Noir way of life. Day or night, sweep it on, and don’t stop there…a second coat before twilight will make the evening all the more exciting. It’s intense. Fast. And blacker than black. Zoom! Zoom Fast Black Lash creates the most intensely black lashes while adding dramatic volume and length. The formula includes carbon black pigment, which creates the deepest, richest black ever. Zoom Fast Black Lash contains silica to add volume and create beautiful, high drama lashes. Panthenol and pantethine help to condition and strengthen each lash while a derivative of vitamin e and sodium hyaluronate help keep the lashes hydrated, soft and flexible. The patented, perfectly sculpted brush has 3-sided fibres that grab onto each lash, separating and coating each lash evenly in one stroke. 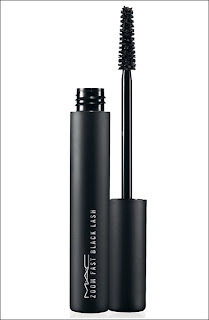 Zoom Fast Black Lash is smudgeproof, non-flaking, long-wearing, ophthalmologist-and dermatologist-tested.